Sports (other neat things, too!) Auction & Banquet: 6:00 p.m. Moose Lodge, 1201 Sugar Grove Rd. Lancaster. Event is by invitation, $50 per attendee); Jim Lehman, 1st vice president, chair. (Event is always 1st Thursday in December). Annual ‘Paper Drive’ Newsies ‘SIGNATURE’ event since 1936. John Little, 2nd vice president, event chair. (6:00 p.m. warehouses of Jerry & Ken Sprague’s Hamburg Fireworks, 2240 Hornsmill Rd., Sugar Grove). 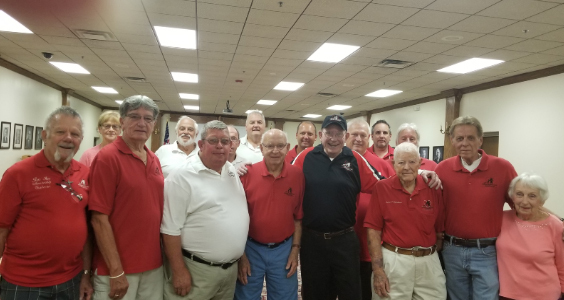 Watch for our annual ‘NEWSIES HEARTS’ program co-chaired by Bill Clemens, Greg Russell and Bob Williams. Saturday, August 11, 2018, saw Lancaster Fairfield County Charity Newsies members interviewing representatives of some 400 less fortunate Fairfield County families for the purpose of providing new “Back-To-School” clothes for more than 900 area students grades 1 through 12 investing more than $95,000 in this worthwhile program. 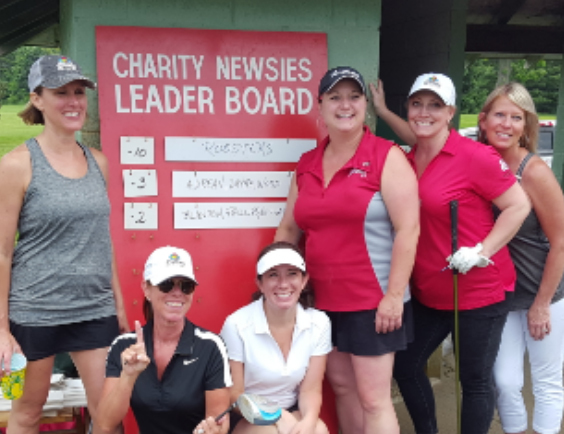 Rooster’s Lancaster was well represented with two teams during the June 10th Lancaster-Fairfield County Charity Newsies Lady’s Invitational Golf Tournament hosted by Pleasant Valley Golf. This annual event has been hailed as one of the premier all lady’s golf tournaments in Ohio. Image courtesy of Newsies Ron Balser.